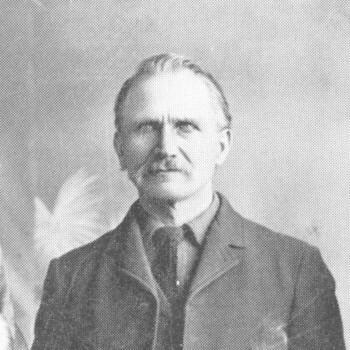 On this date (January 13) in 1843, Dale’s great-great-grandfather Peter Joseph Rademacher was born in Olpe, Germany. Known to friends and family as Joseph, he emigrated to the United States with his wife and children in 1878 and settled in Crete, Nebraska, where Joseph’s younger brother Frank had already established successful businesses. Joseph and his wife Josepha had thirteen children, ten of whom survived into adulthood.